If you believe that all valuable information should be for free, this page is not for you. How do I keep a blog like this alive…? By selling an e-book with even more valuable information. I don’t tell you where to eat or to sleep but how to find good food and a decent bed. How to live like a Cuban and how to get more out of your stay. I show you how to make friends, how to handle problems and how to find your way. I have some funny stories and deeper insights for you. 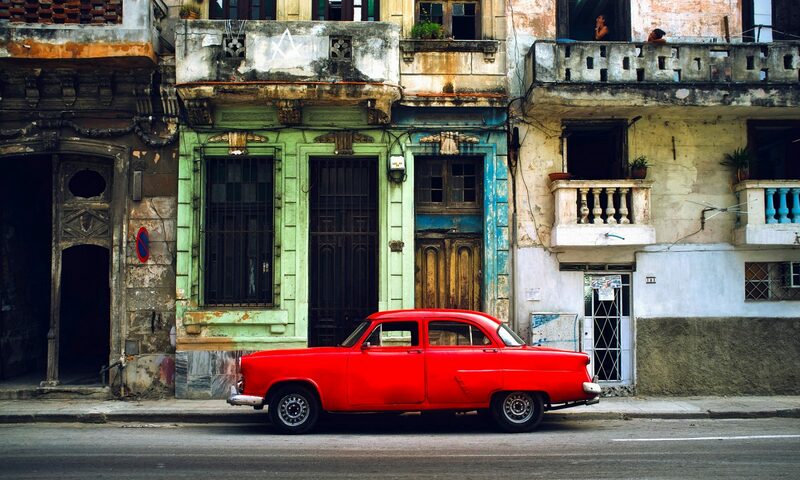 Cuba Conga starts where the Lonely Planet ends and it’s not a substitute. You might have noticed that I’m not a native speaker but don’t worry, the book has been edited by someone who is :-). Arriving at the airport, you will find the line at the money exchange challenging, to say the least. Everybody wants CUCs, and the process is slow. 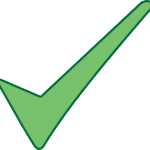 Every bill is checked, and the serial number entered in the computer. Not everybody has read our book, so some people change 20 tenners. Waiting time between one and two hours, and that’s after you’ve survived the customs lines! Go up the stairs in Havana, or next door in all other airports, and in departures there is another exchange boot, without the waiting lines. Well, until everybody reads my blog of course :-). Go across the street. In the Gallery there is another exhange booth that nobody seems to know. – An even simpler solution is in our book (I have to keep some information for sale, sorry, everybody has to eat ☺)… Now that I’ve refunded your time, let me improve your stay in Cuba and make it more interesting. Man… did you do some stupid things while in Cuba :-). I do apologise for that! You should have read our book. I just finished reading CubaConga. It is by far the most useful book on Cuba I’ve ever come across. Almost any guidebook can provide the standard list of hotels, tourist hotspots, and eateries. None of them will give you this kind of in-depth, behind-the-scenes information that you will only figure out on your own after years of living among the locals, speaking the language, and making a whole lot of expensive and painful mistakes. I will be recommending it to anyone who is going to Cuba and wants more than the standard tourist resort experience. It will save them 10 times the cover price and they will have a far richer cultural experience. To return the compliment: Her PBS series on Cuba is by far the best documentary on Cuba I have seen so far. Do you want to make your trip to Cuba more satisfying? You want to recognise a scam before they get you and have a smart way out ready? Do you want to avoid unnecessary costs? Do you want to get in touch with the real people? Are you the curious, adventurous type? 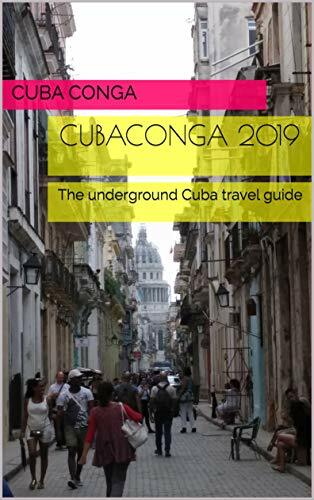 Then get CubaConga the 2019 edition. I promise it will add an extra dimension to your trip and reduce your budget by 30%. If you don’t trust me yet, and I can relate to that. You can also get it at the Amazon store, where it is on sale the whole month of September. 50% off! Please leave us a review on Amazon if you buy it there :-). Enjoy! It is risk-free (no good, for whatever reason = money back) so get it now and add an extra dimension to your stay in Cuba! Get it for free or Donate. Easy read with good stories and a sense of humour. Best travel guide I have ever read and to be honest – I usually don’t read travel guides – because I think they are boring and don’t give you any insights apart from a “bucket list” with boxes to check – this one is completely different. So if you feel like getting actual insights into Cuba and be a bit prepared – buy this guide – it is worth every single cent! 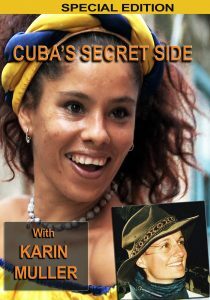 Insiders look at the real Cuba and its people. Covering the do,s and don’ts, the why’s and Really does that happen? A good read and the first non-boring guide I have read with a few laughs thrown in. Pingback: 10 things about Cuba your travel agent does not want you to know. Hi,, can i read it on an android smartphone ,ipad or windows laptop once i buy it? I have never bought before an ebook!? Thanks! I understand by the way that once i buy it i get it downloaded? Thanks Conga Cuba! I am travelling with my wife and daughter (11months old) from 17th june to 8th july from cologne to varadero and iam considering to buy your book since we are on a budget? I am spaniard so i am most interested on Cuba. Lot of connections as former colony. After 3 years living in china , i am curious to see the different Comunism…. So I understand that your book 2016 edition is now available only at amazon not through you, right? May i ask you for your opinion about the route i have planned considering our interests (culture, people, food) and our limitations because of our baby (no trekking or whatsoever like other trips before? )?? Yes, today 8th of May, untill Tuesday the 10th you better get it from Amazon… they are faster than we :-(. From tuesday 2016 edition also available here. Hi Conga Cuba, I am very interested in your travel guide! When will the 2017 edition be available? We’ll be travelling to Cuba in April, so if possibe I’d like to read the most up-to-date version. Hello Conga Cuba, I’m interested to buy your book before my trip to Cuba in December but I can’t find Lebanon in the list of countries !! How could we get the book if we couldn’t pay online through Pay Pal or credit! Great information! I have a couple questions. What format is the book, and is it easy to print if I prefer a hard copy? when will the 2017 update come out? It s OK now. Thanks for the book. Thanks a lot for the super-nice CubaCongo2016! Indeed a very nice “travel book” which serves as an fantastic alternative to all the classic travelguides. For some reason I can’t seem to get my grasp on all those classic travelguides. Yes, they have nice pictures, and nice “must see” descriptions, a quick “phrases to know” and what-not. Off course they can provide you with a nice idea on what to prioritize. But for me, I kind of forget what I read, end up looking at the pictures, and in the end, what did I get out of it? Probably just me, ha ha! Your book, however, I read in a flash, and found it really interesting and humoristic! Probably the first travelbook I have ever actually read all the way through! Good luck with travelling, upcoming books and blog entries! Hi, The book is listed as 2017 edition now on Amazon. Is it the new edition and is it possible to order it from here through Paypal? (If not, I can wait another 2 weeks as we are visiting Cuba (mostly Havana) in June. I just got it using this site. Already downloaded it. This was what we really needed because we will be spending our next 4 years in Havana. Thank you! any new leads on when the new edition will come up? We will travel to Cuba in August, but I want to give the ebook to my friends birthday – June 2nd. Any hope? ok, so how does it work? I receive a link with which I then can download the ebook? since I want it to be present- I then can just ffwd the link ? Hope your friend enjoys Cuba a bit more with our help! IRL… Can hook you up with a student… but not here in a public place… mail me at cubabookconga@gmail.com plz. I have been to Cuba a half dozen times since 2000 and I still learned a LOT from this book. I love how concise it is. No wasted words. I had to laugh at myself. I have fallen for most all of the things mentioned here at least once if not repeatedly. I really like that you tell people to have fun, laugh at yourself and get smarter as you go. You really cleared up many of my experiences and gave context to some interactions in Cuba that have baffled me. I have always known that I was a money tree in Cuba, but I had never quite gotten the idea that the tree is shaken until it stops giving. I love Cuba, but more I love the Cuban people. This was the best $10 I have spent regarding my ongoing travels to Cuba. It will probably save me 100 times that investment. Great job. I use Alejandro in Cuba because it just works better, but I am an American photographer who fell in love with Cuba 17 years ago. This is the most authentic book on Cuba I have read. The other books barely scratch the surface. And it is below the surface where the magic of Cuba lies. Just buy it and read it.